Only metered electric service accounts in good standing with PPU will be permitted to apply for the Program. Enrollment is available on a first come first served basis. Submittal of application does not guarantee participation in the Program. SOLARCHOICE customers are subscribing to the output of a solar array and have no ownership or access to the actual solar array. Renewable Energy Credits (RECs) will be retained by the utility. Production units are not guaranteed. Panels subscriptions are non-refundable once purchased and may not be returned, but may be transferred or assigned to another customer per program terms and conditions. 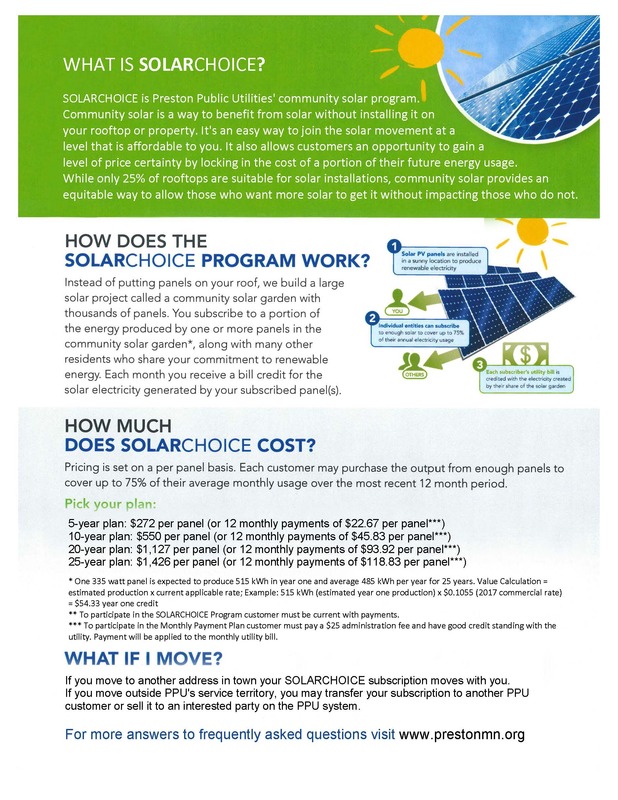 Customer cannot be a simultaneous solar producer and SOLARCHOICE program participant. Full Terms and Conditions are available in the SOLARCHOICE Subscriptions Agreement. Download and print this information and application. The Public Utilities Office is Located in City Hall, which is located on the Northwest corner of the Courthouse Square in the lower level of the Preston Carnegie Library. 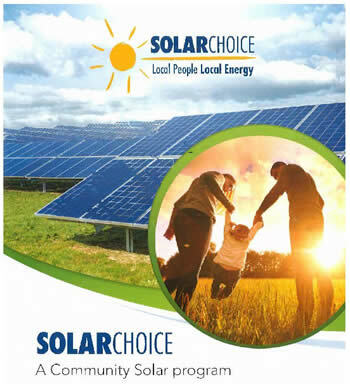 SOLARCHOICE is Preston Public Utilities’ community solar program.